Today in Ms. Goolsby’s Biology class high school students investigated the integumentary system through an arts integration project. The ever important integumentary system includes the skin, hair and nails and serves as an outer membrane which protects the body from its surroundings. 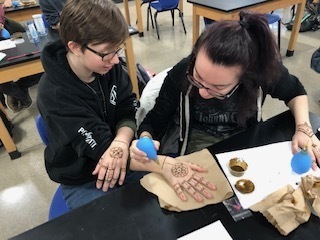 To see how the outer layers of skin (the epidermis) are constantly being replaced, students stained their skin using Henna. 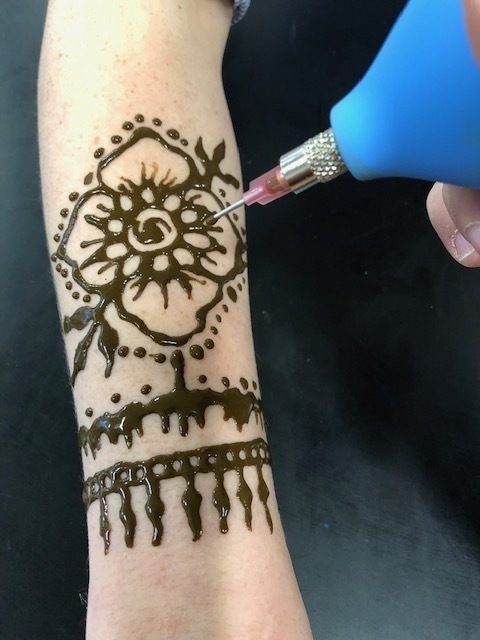 Henna is a dye produced from the leaves of the tree Lawsonia inemis. The dye (lawsone) binds to the keratin in our skin making a permanent stain. Henna penetrates only the top layers of skin, so as your skin exfoliates so too does the henna stain. 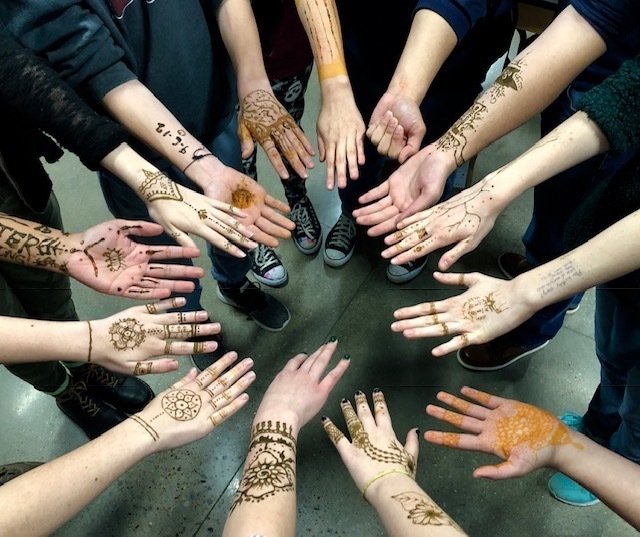 Many cultures have used henna in celebrations to adorn and embellish the human body for centuries. 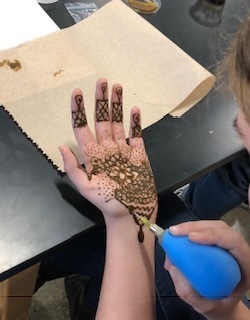 In addition to the scientific make-up of the henna plant, students learned about ceremonial uses and application of henna. 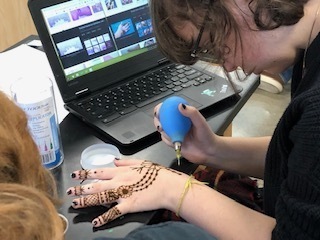 As part of the artistic component of their lesson, students looked at traditional henna designs to create an original design which was then applied to their own skin. (Don’t worry parents, the stain will fade in 3-20 days, depending upon the pH balance of their skin).